Driving in Haiti: Ever Been To Thiotes? Anse-a-Pitres? Pedernales DR? Have you ever traveled through Thiotes and Anse-a-Pitres Haiti to Pedernales in the Dominican Republic? What are road conditions like? One of my readers wants to know. 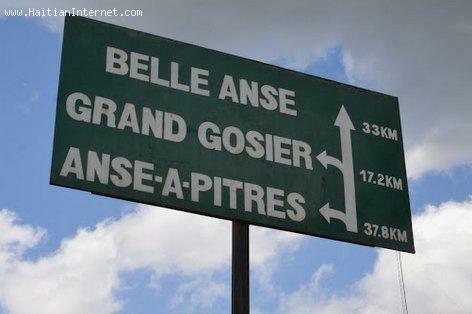 "Are the roads from Thiote / Anse-a-Pitres to Pedernales (DR) good and safe to travel?" Since I have never been to that part of Haiti, I figure one you might know. If you do, reply and let us know the condition of the road. THANK YOU VERY MUCH FOR YOUR QUICK REPLY, BUT SOMEONE TOLD ME THAT THEY ARE FIXING THE ROAD RIGHT NOW? Wow you do need a 4 wheels drive, a good one. I am a professional photographer, I have been every where in Haiti. Trust me, this part of Haiti is the worst part. I am from the Bahamas Haitian parents when you plan to go there, lets meet there in Haiti. The road is bad, rugged as in the 16th Century from the turn that left going to Malpasse/Malpasso Border to Dominican Republic. Once one leaves that turn (from Fonds Parisien to Toman, Fonds-Verrettes), a 4x4 is needed.